Registrations for the return of Prolific North Live have already hit 2,000 - and there's still over three months to go. The North's leading media, marketing and creative industries expo returns on February 15th and 16th 2017 after a hugely successful first event earlier this year. You can guarantee your place now by registering for FREE by following the button below - where there's also the option to fast-track your access for a small charge. This year's event is shaping up fantastically well - over 80 exhibiting companies have already signed up and we're anticipating well over 130 exhibitors and partners together with an expanded content and theatre programme schedule over the two days at EventCity in Trafford Park. 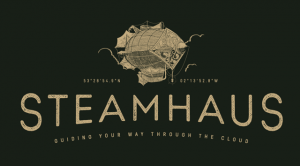 Also on board are three Event Partners (Steamhaus, Vision One and The Landing, with a fourth to be announced shortly) and three room sponsors (Parker Software, Smoking Gun PR and the CIM). The IAB and Broadcast magazine will be curating the Marketing quarter and Broadcast and Visual Media Theatre respectively.